Surveys the Christian worldview and helps us to apply it to the complex questions surrounding assisted suicide. 3. The right to die? This little book on Assisted Suicide is a very helpful resource for anyone coming to consider the difficult question of the place of human choice at the end of life for the first time. With a tone both sensitive and authentic in its shaping by personal experience, Vaughan Roberts offers an erudite yet accessible survey of an issue set only to increase in significance as the realities of changing demographics materialize. Placing the common arguments in favor of the legalization of Assisted Suicide under the microscope of a Biblical world-view, Roberts articulates the unique message of truth and hope which Christians can, must, speak as they themselves embody the costly and redeeming love necessary to make real dignity in dying available to everyone. Handy definitions of terms, discussion guides and recommendations for further reading will prove invaluable to those who want to progress to more detailed thinking on the issue. Every day of my working life I meet people who are facing their own death or that of someone they love. Sadly, without a robust worldview to support them, many perceive the suffering associated with dying as entirely futile or live in denial, placing their confidence in things that cannot save them. 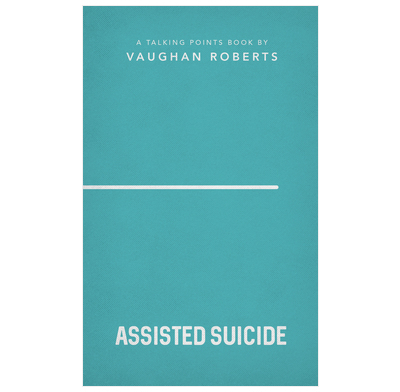 In this straightforward little book, Vaughan Roberts correctly, clearly and compassionately identifies many of the issues pressing people towards supporting a change in the law around assisted suicide. He also makes a compelling case for vehemently opposing such a change. He writes, “More than anyone else, Christians should be able to think and speak about death and dying with hope, confidence, meaning and purpose.” I urge you to give half an hour to reading it and then to ponder all that the gospel has to offer to those who might struggle with this issue – even you. This is a topic that won’t go away. And the voices that argue for assisted suicide are shouting louder. Here is a small, yet timely contribution that offers a clearly argued biblical response. The discussion questions help focus our minds on end of life issues and will prompt thoughtful reflection. We cannot remain silent, and this book encourages us to make a positive contribution to the debate. With Skill and Compassion Vaughn Roberts deals with a very difficult and growing subject. He does so from a thoroughly Biblical perspective, not ducking any of the questions that arise as thinking Christian consider this subject. As a retired Baptist Minister, I wish I had had a copy of this book when I was actively involved in Pastoring. It is a book, albeit a brief one, that could be read profitably by every Christian but especially by serving Ministers.